This simple, yet elegant contemporary landscape design consists of mainly manicured hedges and bushes with the addition of a hydrangeas topiary trees near the porch of the house. 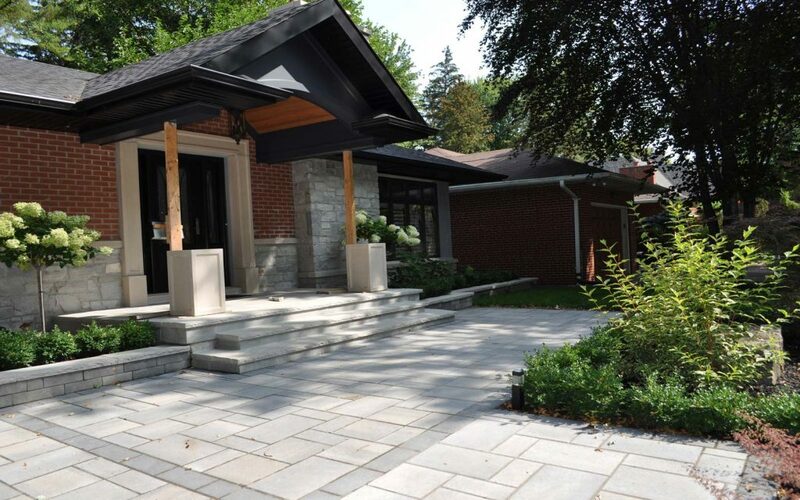 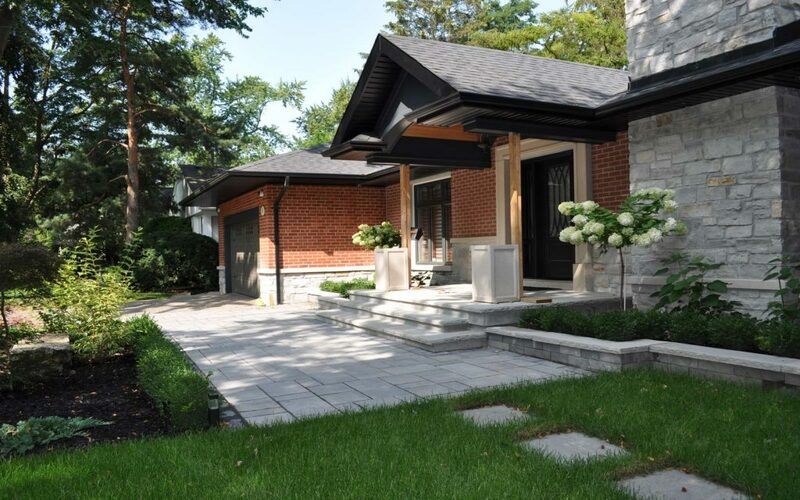 Rectangular, stone framed planting beds, monochromatic colour palette, clean lines of the garden walls with the stone veneer complementing architecture of the house create a very modern and elegant look of the main entrance. 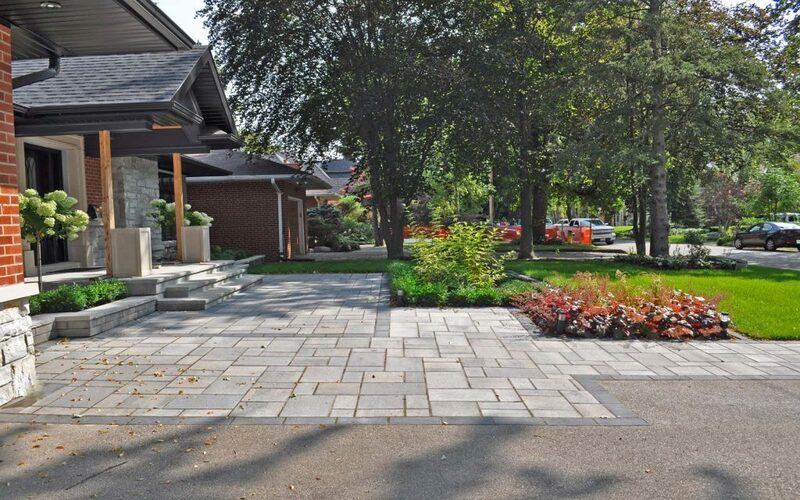 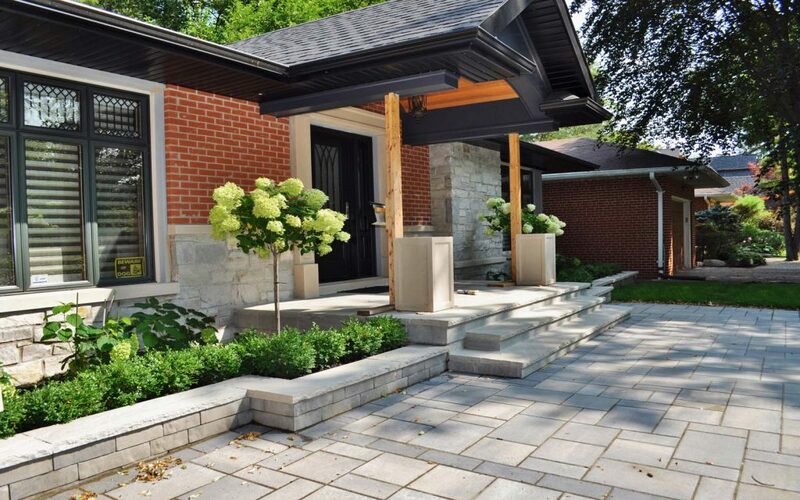 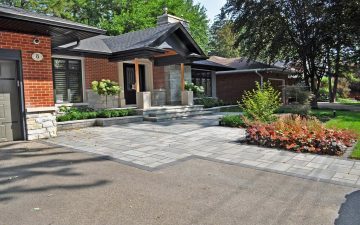 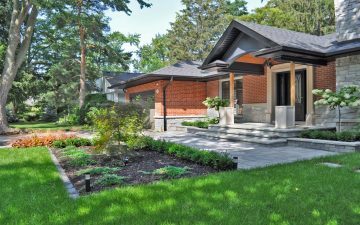 Improving the curb appeal of the property with professionally designed landscaping is one of the most effective ways to increase the value of your property.